Occasionally, you will need to transfer your settings using a small module called an Upgrade Service. An Upgrade Service is just a temporary container to store your data so that you can transfer it between versions. Basically, you just drop it into your old version, press Save, copy/paste it into your new version, and press Dump. • Open your old version. 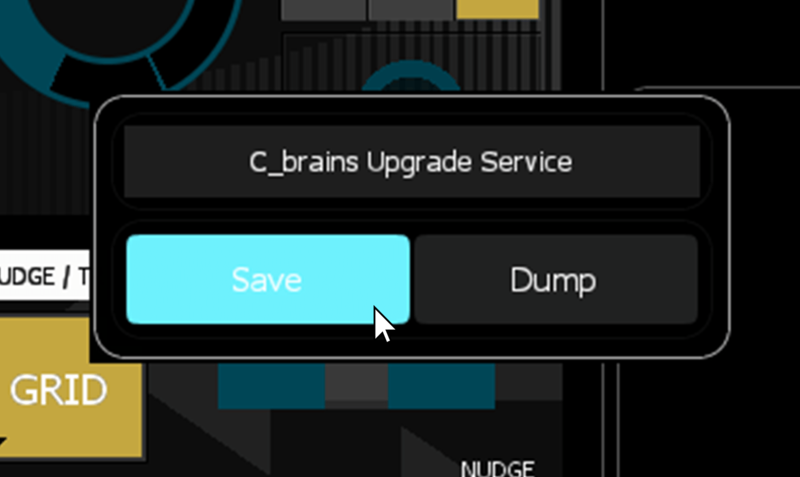 Right click on the product container, and import the Upgrade Service. 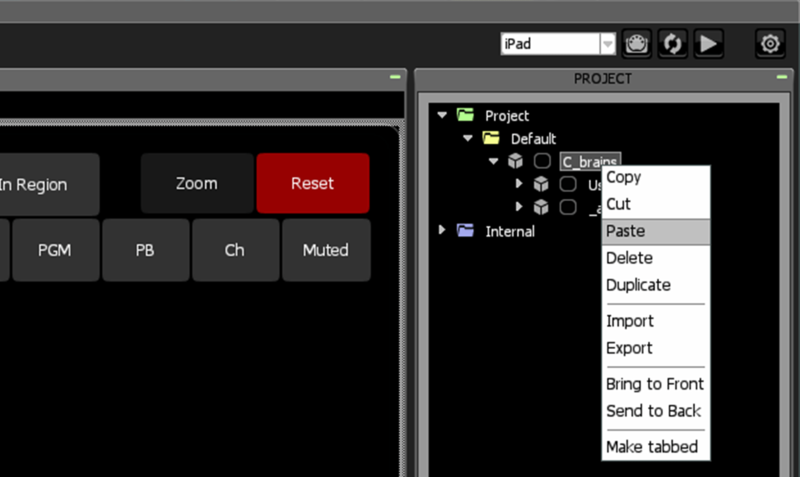 • Save your settings into the module. Hold down the E key before pressing the button. 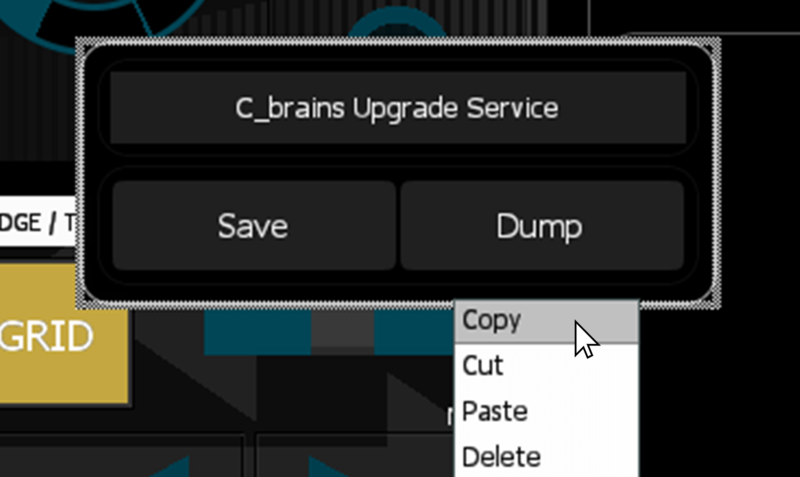 • Right click on the Upgrade Service, and copy the module to your clipboard. • Open the new version. 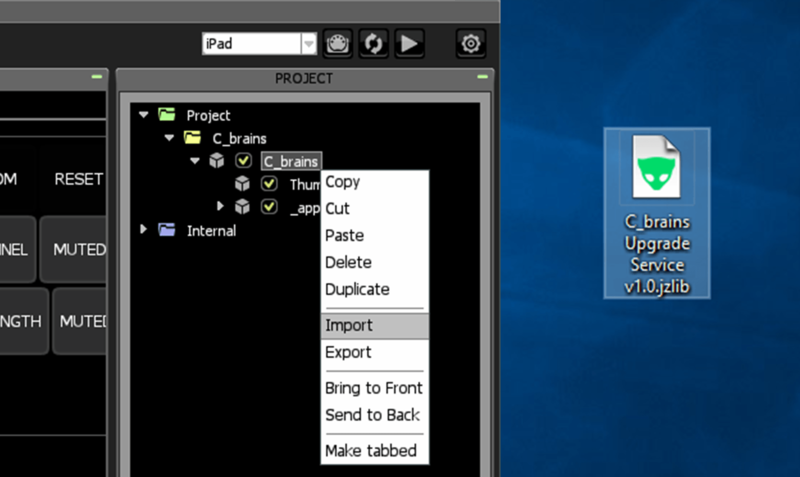 Right-click on the product container, and paste the Upgrade Service. 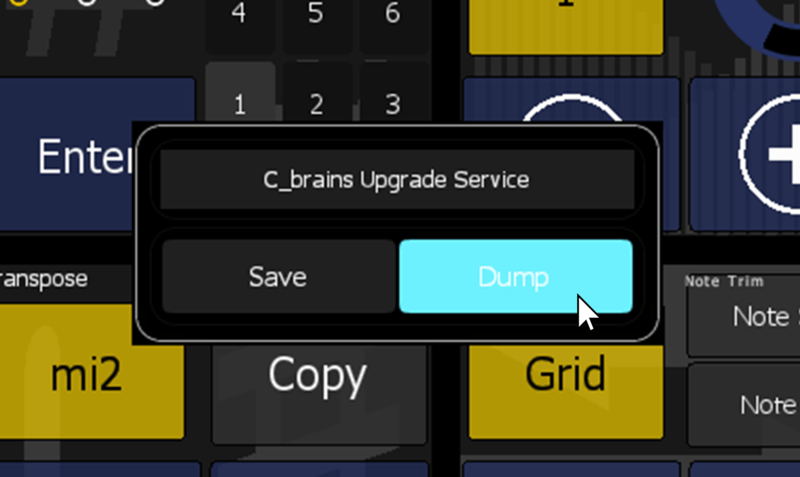 • Dump your settings into the new version. Your settings have been transferred. Go ahead and delete the Upgrade Service. Changes take effect on the next load. Why do I hold down the E key? By holding down the E key you put Lemur into “Run Mode” which turns your mouse clicks into touches. 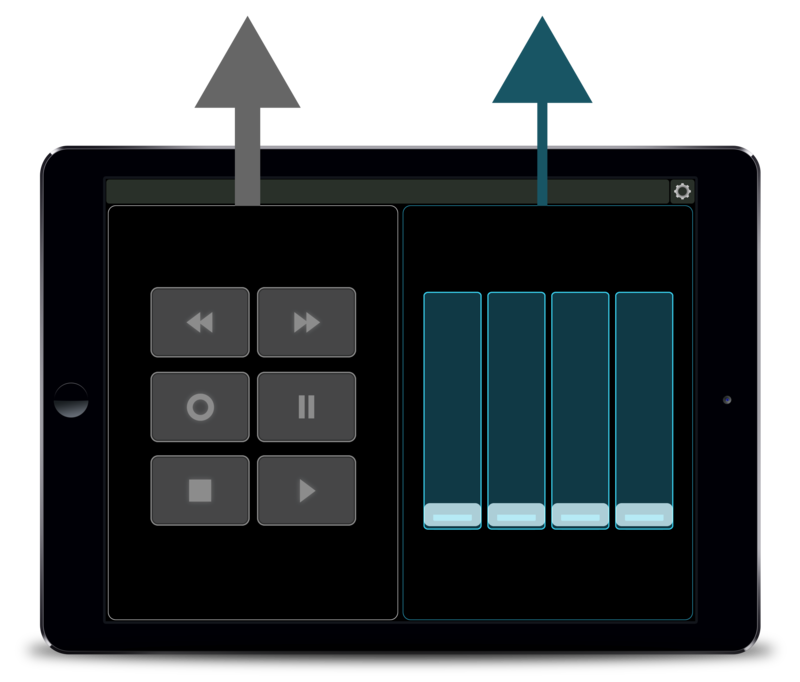 For more information on Run Mode, see the Lemur User Guide.